This repository allows the creation of a Docker environment that meets Symfony requirements. What you will find here is an environment designed to simplify the development workflow when working with a Symfony application. Thus, some services or configurations are not suitables for a production usage. blackfire: blackfire/blackfire:latest image (application profiling). 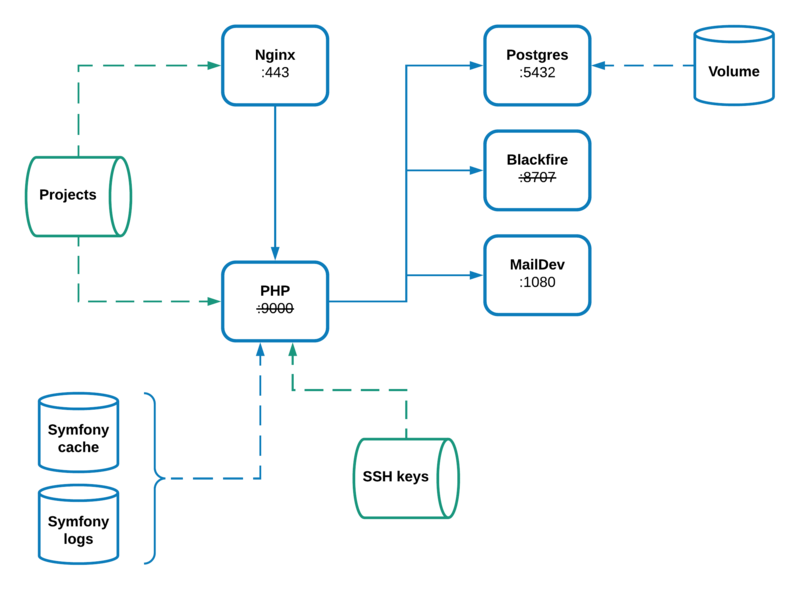 nginx: nginx:1.15-alpine custom image with HTTPS (web server). php: php:7.2-fpm-alpine custom image with additional extensions and Composer. In order to make things more readable, and maintainable, the documentation has been migrated to the repository Wiki. Where you will find all details about the installation process along the available instructions for the day-to-day work.